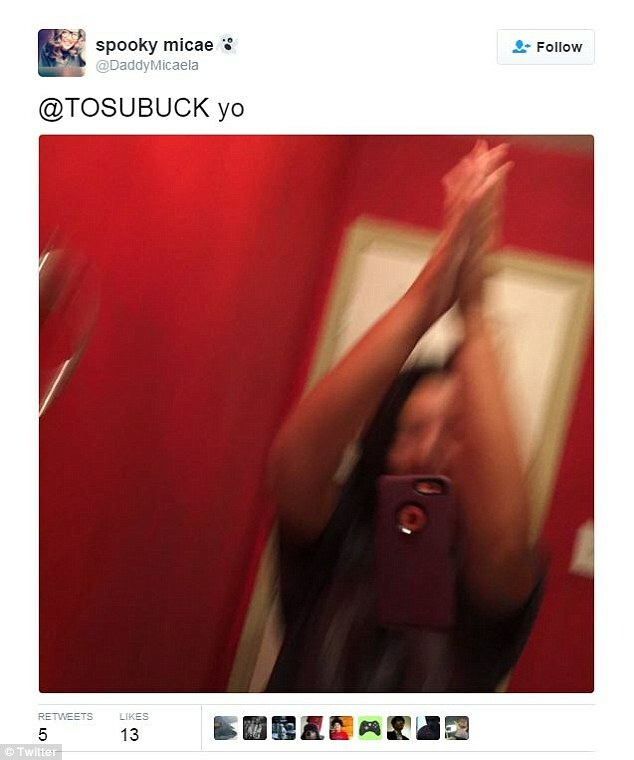 This bizarre trend shows Twitter users throwing their phones in the air while trying to snap a picture of themselves clapping their hands in a 'self-five'. From duck face to no make-up, there have been plenty of selfie crazes to hit social media over the last few years. 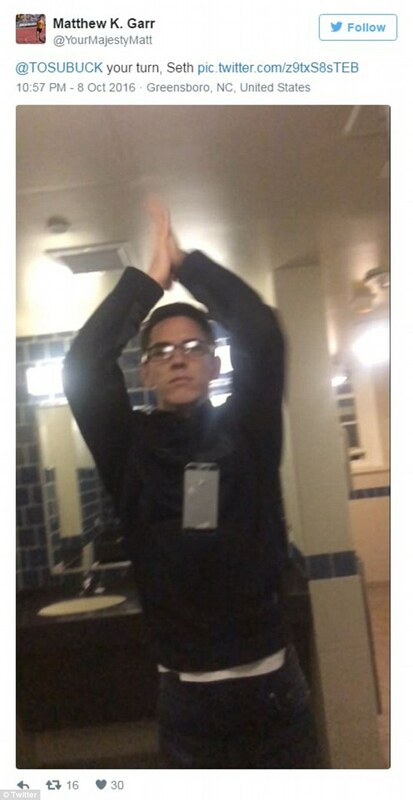 But the latest one sweeping the web just might be the most ridiculous yet, not least because participating in it can lead selfie fanatics to actually break their phones. 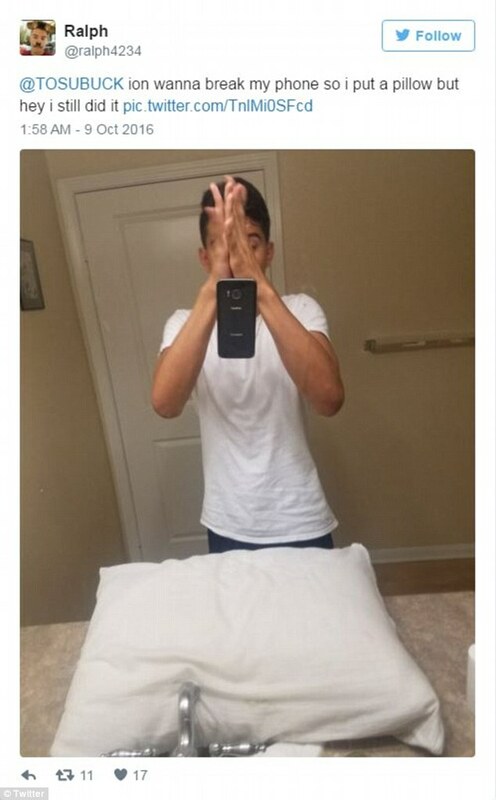 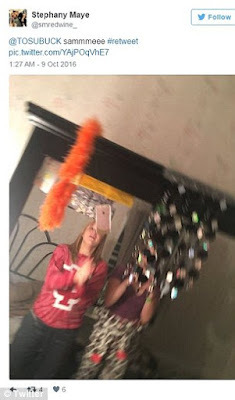 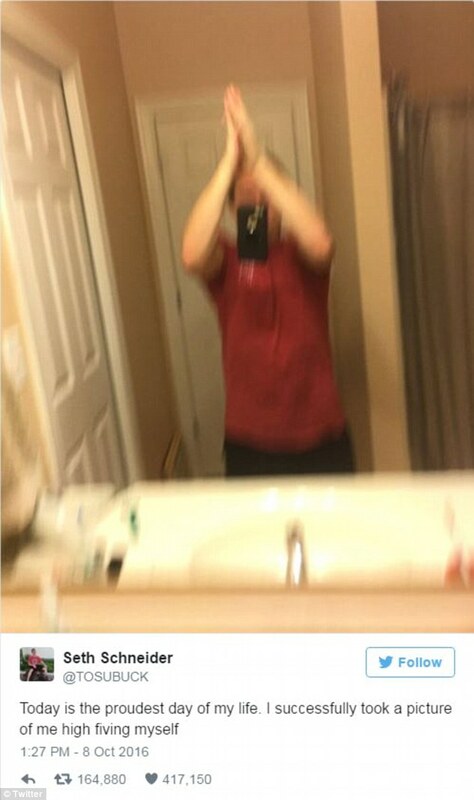 The trend sees people attempting to take photos of themselves in mirrors by pressing the camera's button before immediately hurling the phone into the air and clapping their hands together.